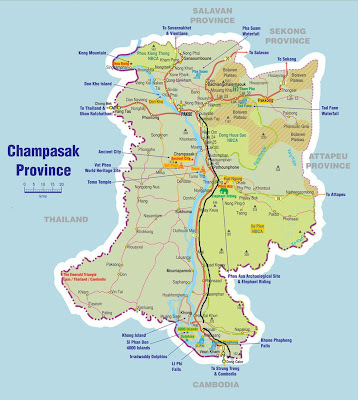 Champasak province lies to the Southwest in Laos. The capital city is Pakse, located at the confluence of the Mekong and the Sedon rivers. Southeast Asia's biggest waterfall, Khone Pha Pheng, is within easy reach by boat or by road. This is one of the main political and economic centers of Lao P.D.R. The people of Champasak Province settle along the bank of Kong Se Done river. In this province you will find ancient temples which were influenced from the Angkor people who settled in Cambodia. There are many different minorities in Champasak whom have their own language, culture and lifestyles. 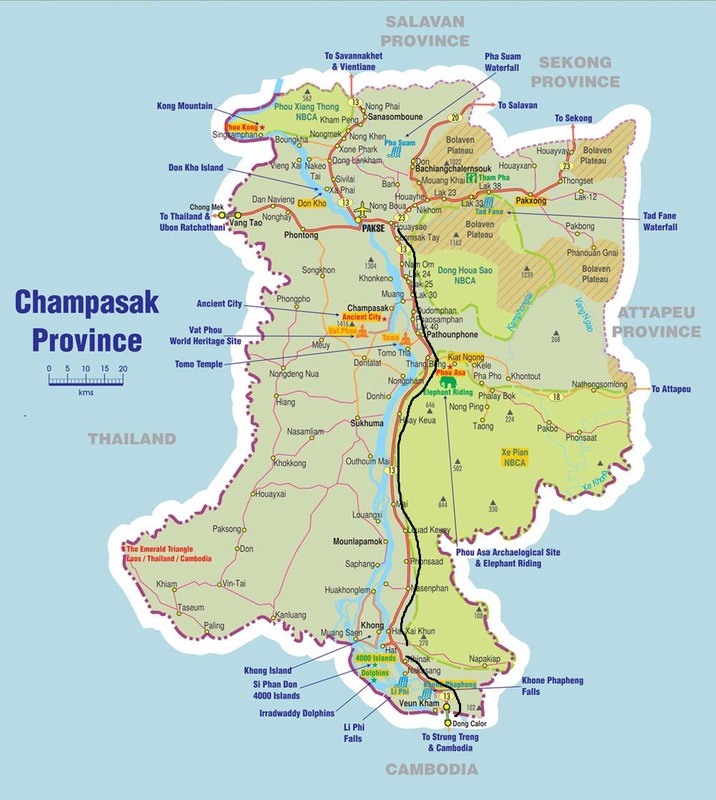 The distance from Vientiane to Pakse, the provincial capital of Champasak is 610 kilometers by Route 13 (south) via the provinces of Bolikhamxay, Khammouane, Savannakhet and Salavan. my itinerary for this day includes the li phi falls, khone phapheng falls and pakse city tour.